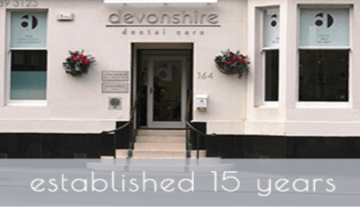 Here at Devonshire Dental Care one of the most important benefits of our TRIOS® intraoral scanner is improving the patient experience. We have all been to the dentist and at one time or another needed an impression. The ability to offer digital impressions has become a massive advantage to our Clinicians and Patients at Devonshire Dental Care. A patient with a strong gag reflex offers a serious and very real problem particularly when advanced restorative work is anticipated. Fear of gagging during impression taking is a common phobia and has led to avoidance of the procedure and often non-attendance. We are able to complete the intraoral scan by stopping and starting a few times giving you a break to relax. You will be overwhelmed by the results and ease of the procedure. Intraoral scanning with TRIOS® is extremely fast. Even compared to the market’s other intraoral scanners. It goes by so quick and there’s no plastic gooey mess. The accuracy of digital impressions and the resulting crowns means a much better fitting restoration. The accuracy also cuts down on the need for remakes. Your visits are quicker and you don’t have to come back for adjustments. So besides your comfort, digital speed and accuracy are huge advantages. If the scan is of a non-satisfactory quality we can repeat it immediately. We don’t need to re-prepare an impression tray and there is no need for us to mix the impression material again.